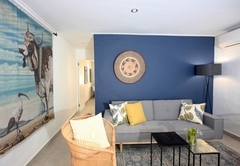 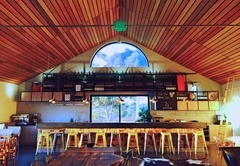 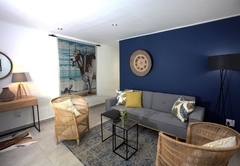 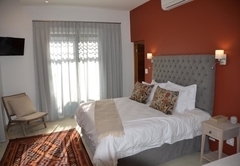 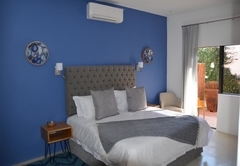 Marianne Wine Farm is one of the Stellenbosch guest houses and provides accommodation in 17 guest rooms for tourists visiting the Cape Winelands region. 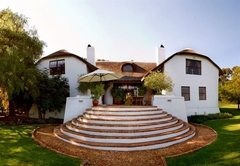 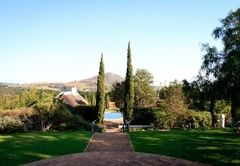 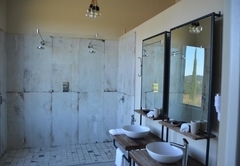 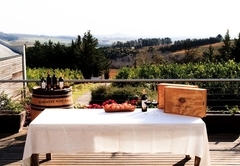 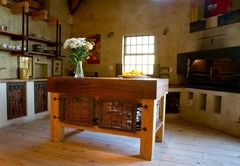 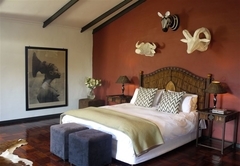 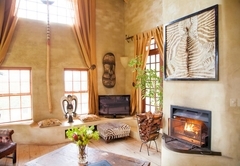 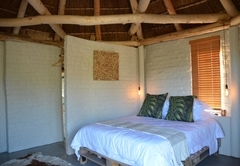 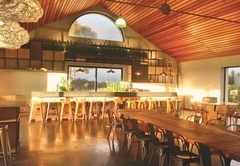 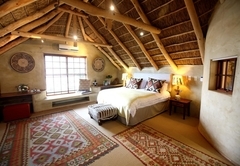 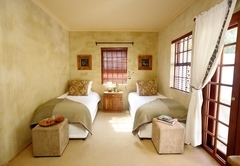 Marianne Wine Estate provides accommodation in a number of rooms and suites. 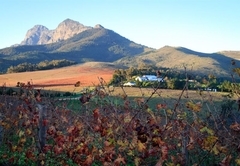 We are situated at the foothill of Simonsberg Mountain outside the town of Stellenbosch. 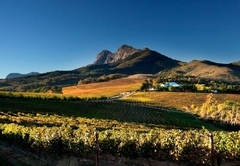 Come and enjoy scenic walks, soak up the sun at our swimming pools, savour our multi award winning estate wines and discover the tranquil lifestyle of the Cape Winelands. 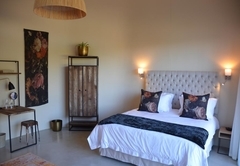 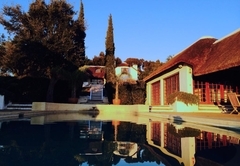 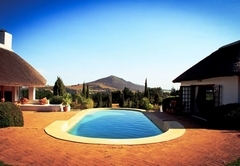 Marianne Wine Farm Bed & Breakfast offers spacious and comfortable loft rooms surrounded by citrus orchards and vineyards, a large manor house with spectacular views towards Table Mountain and a Pool House set amidst the lavender and lime plantations. 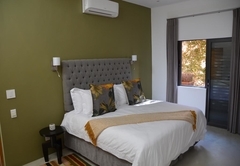 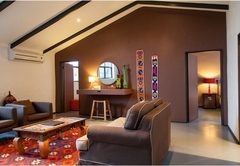 Room facilities include air conditioning, a hair dryer, heaters, DStv and a tea / coffee station. 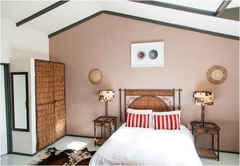 Newly renovated, this room is furnished with a Queen-size bed. 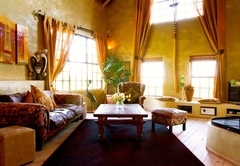 It has a lounge area, a large full bathroom and a deck. 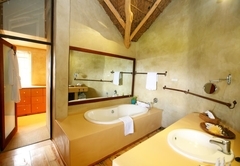 These suites have two separate bedrooms and a full bathroom. 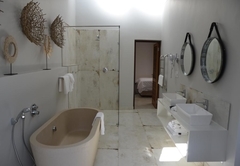 This master suite has an en-suite bathroom. 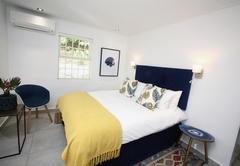 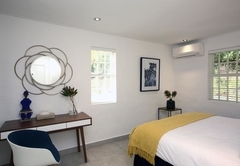 This beautiful double bedroom has an en-suite bathroom. 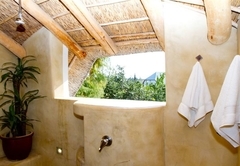 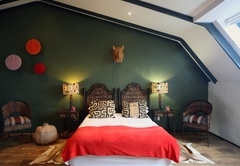 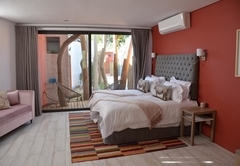 African rondawel with queen size bed, inside and outside shower and a private patio. 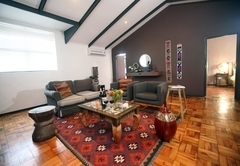 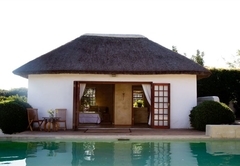 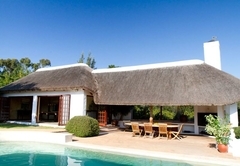 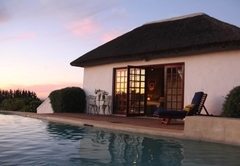 Typical Western Cape Villa with 2 bedrooms inside, spacious lounge and fully equipped kitchen. 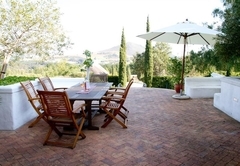 There are 2 terraces with a beautiful garden in the middle of the vines. 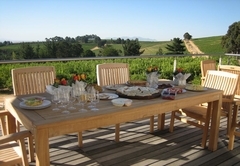 Breakfast included in the rates and served each morning. 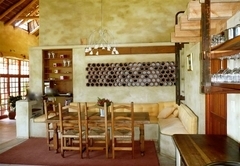 Response timeMarianne Wine Farm typically responds to requests in 5-10 minutes.